MSqt Robert Dilley was born December 28, 1954 at Prairie du Chien, Wisconsin. He was the first of six sons born to Leroy and Jennie Dilley. He grew up in Grant County, Wisconsin, where he graduated from West Grant High School, Patch Grove, Wisconsin. MSgt Dilley entered the Air Force through delayed enlistment 31 March 1973. He spent the summer working for his father and then left for active duty In the Air Force on 30 Aug 1973. It was the first and last time he ever saw his father cry. He entered basic training at Lackland AFB, TX under the guidance of SSgts Roper and Leetch. Basic training was completed October 1973, where upon Airman Basic Dllley was transferred to Keesler AFB, Mississippi and entered Into the AUTOMATIC TRACKING RADAR REPAIRMAN SPECIALIST Course. Airman Dilley completed the course 6 August 1974. He PCS'd to Det 14, 1st CEVG Bismarck, ND. He met his future wife in 1975 and married Pamela Thurn on 14 May 1976.. SrA Dilley PCS'd to Del 24, 1st CEVG Andersen AFB, GUAM island In the Mariannas islands 20 June 1977. Sra Dilley was given NCO status 1 July 1977. He was called home on emergency leave 7 July 1977 due to his father's critical illness. He had just returned home from the hospital after his dad passed away on 25 July 1977 only to receive a call from Pam, who stayed behind in Guam, telling him he was the father of a baby boy, Travis Christopher, born 25 July 1977. His second son, Todd Alan was born 27 March 1979. Sgt Dilley took his family and left Guam 20 June 1979 for their next assignment at Nellis AFB, Nevada, where he was assigned to the 554th Range Group, Tonopah Test Range. He was notified upon arrival at Nellis that he had been promoted to SSgt. SSgt Dilley attended the Tactical Air Command Leadership School at Nellis AFB, and was recognized as a Distinguished Graduate, April 1980. In May 1980, SSgt Dilley attended the Digital Electronics course, and completed the AN/MPS-TIA 0&M Maintenance course In August 1980. 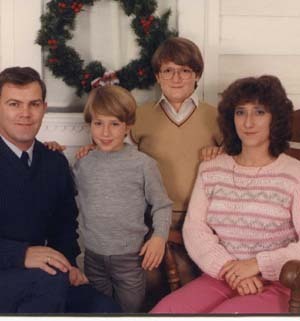 In July 1981, SSgt Dilley PCS'd back to Det 14, 1st CEVG, Bismarck, ND. SSgt Dilley completed the NCO Academy by correspondence 20 June 1985,just after finding out he had received a line number to Tech Sgt. He was promoted 1 Nov 1985 and entered the Strategic Air Command 8th AF NCO Academy, Barksdale AFB, Louisiana, 7 Nov 1985 and graduated 20 December 1985. He also picked up 12 college credits from the Georgia Military College during that time. TSgt Dllley completed the History of U.S. Air Power course, 11 March 1986. Sgt Dilley served as a Sunday School teacher at Faith Lutheran church for two years prior to leaving Bismarck. TSgt Dllley left Det 14, 1st CEVG prior to it's closure in July 1986, in May for a PCS TDY enroute school at Det 5, 1st CEVG Wilder, Idaho, where he attended the AN/MST-TIA 0&M Maintenance course. Upon completion of his schooling, he left Idaho to meet his family at their new assignment. Det 18, 1st CEVG, Forsyth, Mt, arriving 7 Aug 1986. 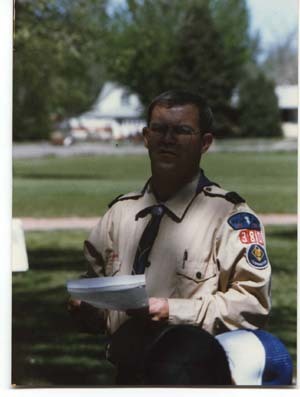 TSgt Dllley became very involved In the local community with various programs such as Cub Scouts, Boy Scouts, the Archery Club, bowilng, volunteer umpiring for youth baseball, and watching his sons play ball. He attended the Communications-Electronics Quality Control Procedures course at Keesler AFB, Mississippi September 1988. 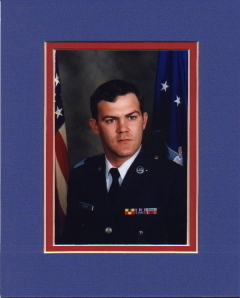 TSgt Dilley attended the informatlon Security Program Manager Course at Ellsworth AFB, SD August 1990. 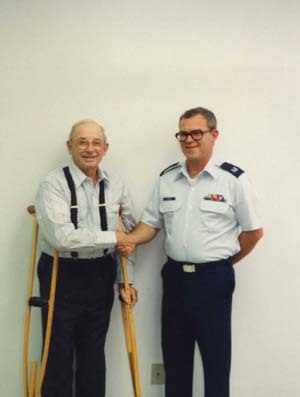 TSgt Dilley was promoted to MSgt 1 September 1992. On 8 June 1994, he was awarded an Associates Degree in Electronic Systems Technology from the Community College of The Air Force. MSgt Dilley spent over 2.5 years of his career on the road to places such as Tonopah, Nevada, Powell, Wyoming, Bowman, North Dakota, Lemmon, South Dakota, Forsyth and Lewiston, Montana. He considers the highlight of his career to be the actions he took to avert a potential mid air collision between a B-52 bomber and a FB-111 bomber that was overtaking the B-52 in the low level route at Powell, Wyoming. MSgt Dilley retires 1 Sept 1994 with 21 years and 1 day of Honorable Active Duty Service in the United States Air Force. Bob explains "The older man on crutches with me is a very dear friend of the family. Art Schiffer was a waist gunner on B-17's in WW 2 and is a rancher locally." 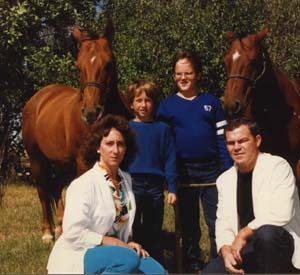 Bob with his wife, Pamela, youngest son Todd and oldest son Travis. The Bob Dilley Family at Christmas. Seated is Bob's mother, Jennie Dilley. 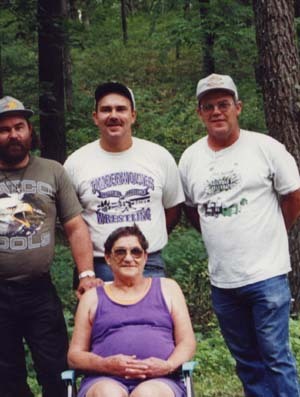 Bob is at the far right, middle is Loren Ivan Dilley, left is Lynn Harmon Dilley, two of Bob's brothers. 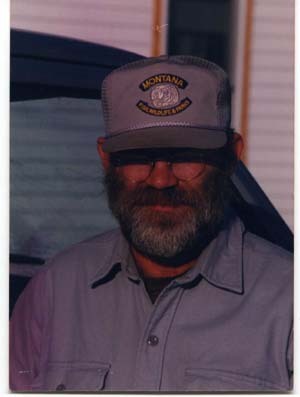 Bob after retirement from the Air Force, when he worked for a fall season with the Montana Fish, Wildlife & Parks Department. 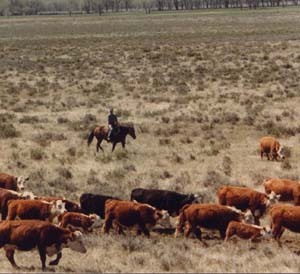 Photo of when Bob was off duty "playing cowboy helping a local rancher take his cattle out 8 miles to summer pasture". son of Aaron Dilley and Hannah Perry? John Dill dates about 1635 to 1650 in the Woodbridge NJ area. Where they came from is unknown. As I understand the "ey" was added by Jonathan and John Jr for some reason unknown to me at this time. This is my lineage based on notes that I received from Ruth Dilley. She provided me with alot of my lineage. Warren and Polly Dilley had three children Leonard, Mary, and Silva. Silva Dilley was initially married to an Agnes Davis. They had Children William, Warren, and Darrell. Agnes passed away and Silva remarried this time to Alta Grace Greenfield and as I understand they had children as follows Verona, Beauford, Leroy and Albert. There were also I believe two children who were still born. I believe all births for all children of Silva Dilley were at home in Scott Township, Crawford County, Wisconsin. My dad and Uncle Albert did not have birth certificates until about age 36 and 62 respectively. Pictures and biography donated by Bob L. Dilley.